Since 1983, when she graduated as Certified Teacher for the F.M. Alexander Technique, Sylvia works as Movement Educator in Germany, the Netherlands, the UK, France, Switzerland and in the US. Through her many years of experience, she easily recognizes movement patterns that do not work so well for the body and can correct them, using as well her hands to guide as also imaging. Her focus is on getting her students in touch with their own body and have them re-learn to closely listen to it with the goal to make them independent from her own teaching by understanding the language and guidence of their own body. Since Sylvia graduated in 1983 as one of the first certified teachers of the F.M. 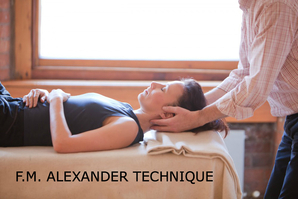 Alexander Technique in Germany, she helps her students to find back to their natural inherent good use of the body. People who search her help often come with back or knee problems or they seek a good use of the body as they use it daily in their work as musicians, actors or dancers. Sylvia has found rebounding to be the most efficient way to tone the body. After many years of working as a Rebounding Trainer in Switzerland, she developed her own Rebounding method called "QiBounding" focusing not only on the movement of the physical body but also on the movement of our inherent energy which in China is called "Qi". She offers a master class and Certification Training for future QiBounding Instructors and teaches her method as well in form of Rebounding Online Courses and as in One-on-One training classes. It was in 2006 when Sylvia was introduced for the first time to Argentine Tango - during a vacation in Maui, Hawaii. It was love at first sight. Since then the Tango has never left her. Today she passionately teaches an open-role Tango, in which her students learn both roles (leading and following) at the same time. Her main focus is to give them a solid foundation of technique based on alignment work and good use of the body and inspired by the training she received from numerous Tango master teachers in Buenos Aires, the US and Europe.